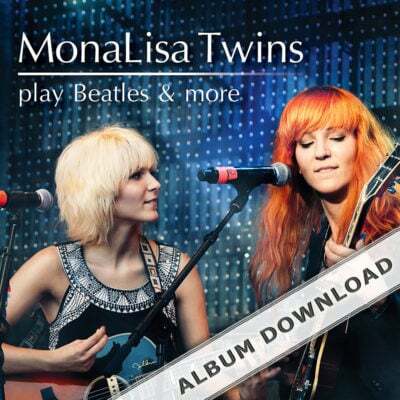 In 2007 – at the age of 13 – the MonaLisa Twins played their first big live concert. 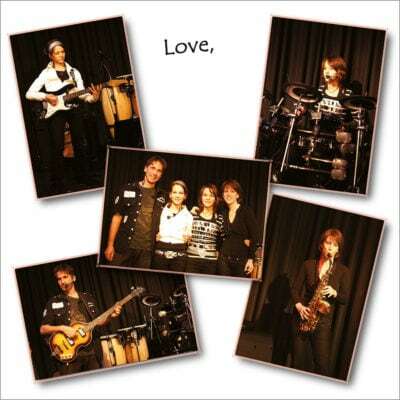 Together with their parents they performed 24 cover songs from all kinds of musical genres and different eras. Check the tabs below for more info, the audio samples and lyrics. I did a more detailed review of this album a few months ago in the CD section, but here are some more thoughts and experiences with this album since then I wanted to share with everyone. 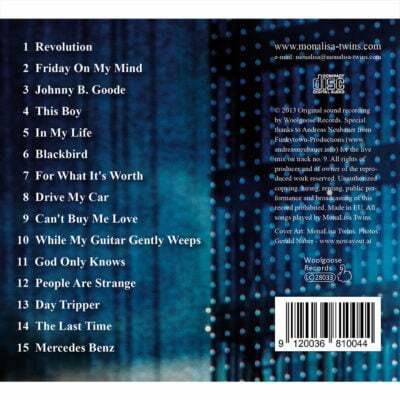 I can’t recommend this album enough as it is a real gem. 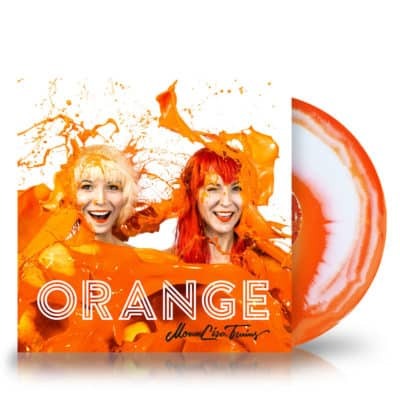 The CD covers says “A Musical Journey 1963 – 2007”, and it is an incredible music journey indeed that Mona Lisa and Band present here. 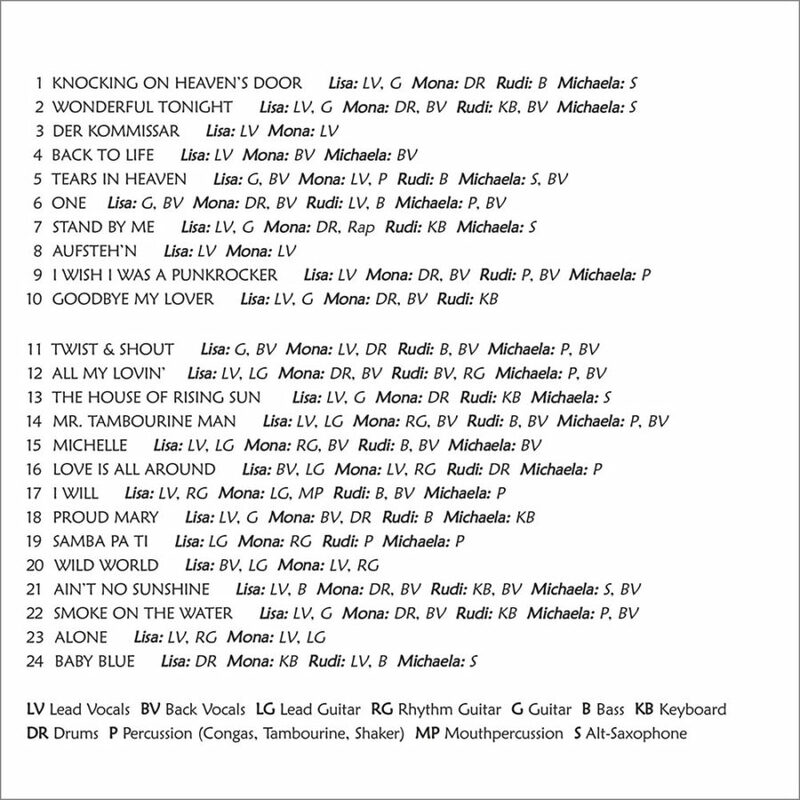 24 tracks of some great pop/rock songs spanning several decades with absolutely beautiful MLT harmony and outstanding instrumentation. 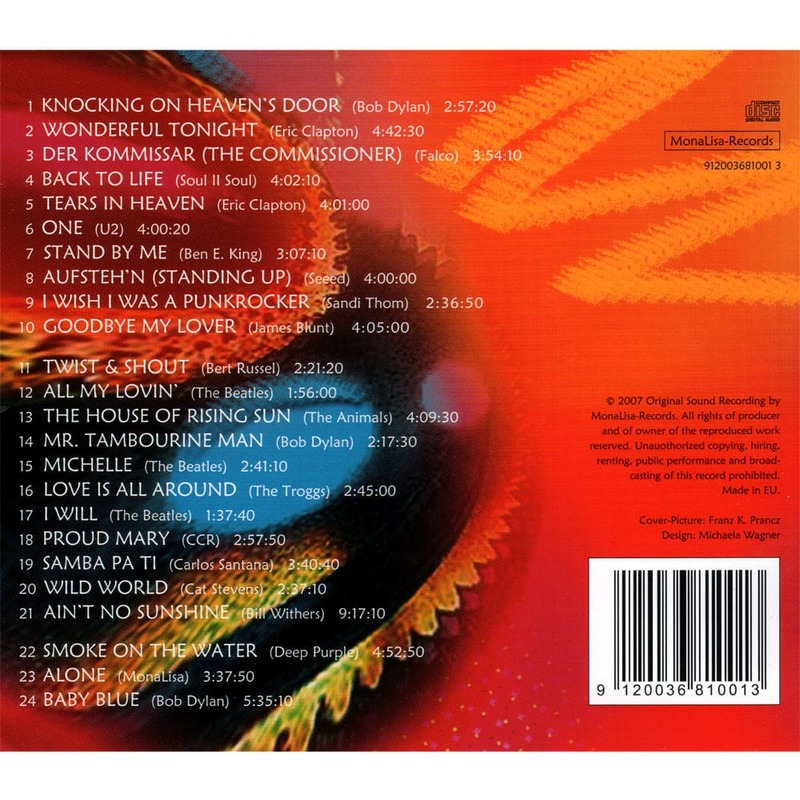 Some of my favorite tracks are Aufstehn, Der Kommissar, Back to Life, Stand By Me, Samba Pa Ti, Wonderful Tonight, Michelle, I Will, Smoke on the Water, Proud Mary just to name a few, but really I love every song they did here, as they add another dimension to the music with their unique singing style that draws you to listen to it over and over again. 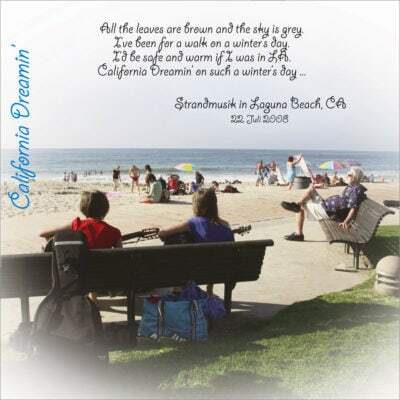 Classics played by a wonder family CHOCK FULL of talent! The girls are joined by their dad and step mother for a great concert of classic 60’s and 70’s songs sure to please everyone! The up and coming Twins show us that they had it back in their younger days and we know how great they have become today! A MUST HAVE treat for all MonaLisa fans! I LOVE these young ladies! 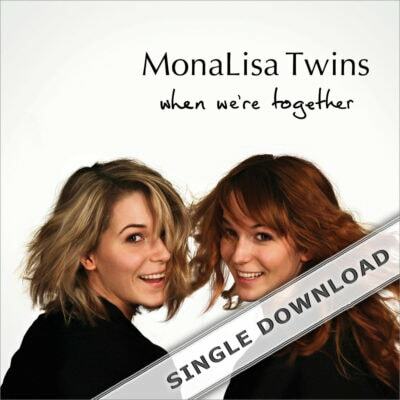 I love that the MonaLisa Twins and band are doing things their way, I can’t get enough of them. 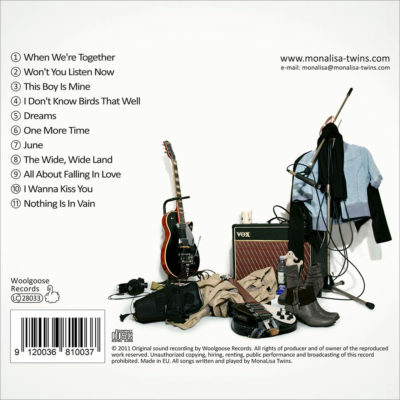 "MonaLisa and Band Live in Concert 2007" is a double CD with 24 cover songs. 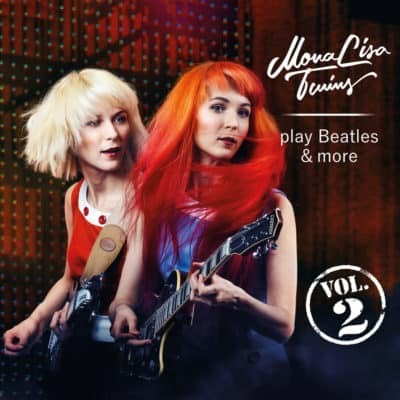 In 2007, at the age of 13 the MonaLisa Twins (back then called “MonaLisa and Band”) played their first big live concert where they performed a musical journey through time, starting from 1962 up to 2007. In a way that concert marked the beginning of their musical career. The performance was a family project, with Mona & Lisa, their dad Rudolf and their stepmom Michaela on stage. Michaela learned to play the sax so she could support the band, just like their dad learnt to play bass and guitar. He also played the keyboard and sang a few of the songs. As usual, he did all the sound engineering and lights. While Mona mainly played the drums and Lisa the guitar, they also changed instruments and all of them were singing lead or harmonies.